Rising bond yields, and worries that the Federal Reserve might get more aggressive in raising a key interest rate, have sent Wall Street into turmoil in the last week. It began with last Friday's jobs report that showed a big jump in wages and a corresponding rise in bond yields, which influence a whole range of interest rates. All of a sudden, it appears the recent era of rock-bottom interest rates is ending. Consumers can expect to feel some impact from a rising rate environment, though not nearly as much as the stock market. Robert Frick, corporate economist at Navy Federal Credit Union, still believes the Fed will hike interest rates three times in 2018 -- not four as some on Wall Street fear. 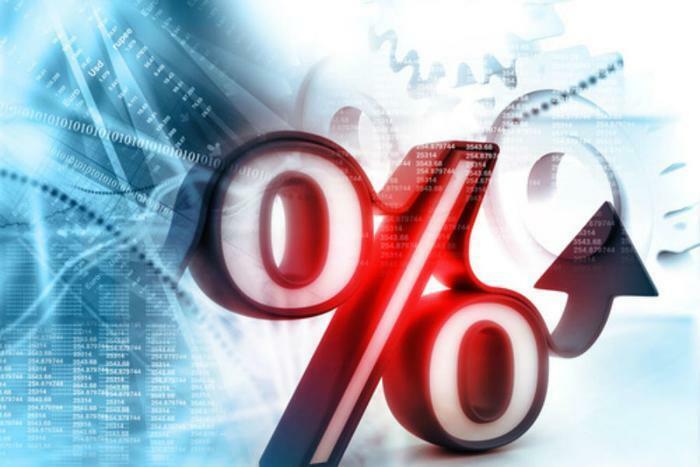 For consumers, three 0.25 percent hikes in the discount rate will mostly affect those with variable rate loans, such as credit card balances. "However even a 0.75 percent increase in rates won't have a major impact on those loans," Frick told ConsumerAffairs. "For example, a quarter point hike will only add $40 a year to the interest paid by the people who have average credit card debt of about $16,000." Car loans are also closely tied to the Fed's discount rate, but here again Frick says consumers probably don't have a lot to worry about. The rate car buyers pay to finance a vehicle will depend largely on their credit rating. Working to improve your credit score will save a lot more in interest than a rising discount rate will cost. Rising interest rates might actually help consumers who are saving money. For almost a decade, interest on savings hasn't amounted to much. As bond yields rise, banks will pay a little more on savings. Frick suggests consumers keeping their money in cash should do research on the certificate of deposit (CD) rates banks are paying and spread money among different maturities. Longer term CDs will pay more in interest. In the meantime, Frick says consumers can prepare for life in a rising interest rate environment by conducting what he calls a credit audit. "We've all gotten used to having low rates for so long that we tend to forget about how much we're paying on which loans," he said. "Gather that information and look where you can minimize interest, transfer balances, and even refinance if necessary." But the good news, he says, is interest rates will rise slowly over the next year and will be less of a concern to Main Street than it is to Wall Street.